Be A Trusted Cannabis Advisor. Education for cannabis industry professionals, allied health professionals, and consumers. This online training program is designed for cannabis industry professionals, allied health professionals, and consumers. The curriculum, based on scientific research, proven protocols, and my clinical experience with thousands of patients, meets the increasing need of professionals who find themselves in a position to help cannabis-using patients achieve the best possible results. The training can be completed at your own pace on a computer, phone or tablet in an easy-to-use interactive format that includes videos, short assignments, quizzes, handouts, guides and a community forum where you can interact with myself and your peers. The course is self paced, tracks your progress and allows you to spend as little as 5-10 minutes at a time learning. Your membership includes access to live monthly online video meetings. Each month, I review the latest research and findings on medical cannabis and answer questions members are encouraged to send in or ask live during the events. These monthly events are recorded and archived for you to access at anytime. While the number of doctors, nurses, and pharmacists educating themselves in cannabis medicine is steadily increasing, uncountable patients remain underserved and are forced to rely on allied health professionals, dispensary staff, and clinical educators for help navigating the often-confusing world of medical cannabis. Patients that have experienced personal success using cannabis are also frequently called on to help others. Over the years I’ve recognized that patients can’t wait for the medical community to catch up. There’s clearly a need for more reliable, accurate, and concise education that will allow cannabis community members to better help each other. My goal is to empower you with this specialized knowledge so you feel more confident in the advisor role helping patients and consumers, and to help you succeed and find great fulfillment in your work. Dosage forms of medical cannabis and their clinical effects. Ongoing updates on research, findings and new content. Monthly live community events with Dr. Sulak. Recorded for member access. What is included in the $249 annual fee and certification? 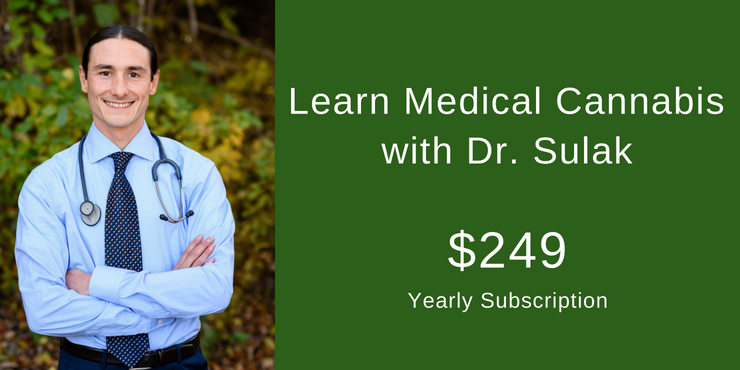 Access to all the courses, ongoing updates, community discussion boards, your certification and other training events including monthly live Q&A with Dr. Sulak. Additionally, Dr. Sulak will continually add new curriculum to the course as needed and provide annual updates. You may cancel at anytime. How do I register my entire company, practice or organization ? Please contact us at info@healer.com and include how many members you want to sign up. When may I cancel the program and may I get a refund? You may cancel anytime to end your membership. We do not offer refunds. Each course takes1.5-2 hours. Each chapter takes 5-20 minutes and is broken up into micro learning sections. You may learn at your own pace from a computer, cell phone or tablet. Does this training offer CME credits? No, Dr. Sulak has other courses providing CME credits. When do I get my Healer wellness advisor certification? After you complete course 1 and 2. Can I take this training in the US, in a state where cannabis is illegal or another country? Yes. You may learn about cannabis even if it’s illegal in your US state. As for countries where it’s illegal, we encourage you to research if cannabis education is illegal. 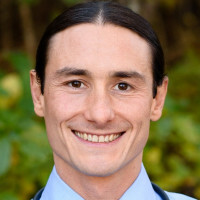 Dr. Dustin Sulak is an integrative medicine physician and leader in the emerging field of cannabinoid medicine. His clinical practice focuses on treating refractory conditions in adults and children. Dr. Sulak is the founder of Integr8 Health, a medical practice in Maine that follows over 8,000 patients using medical cannabis; Healer.com, a medical cannabis patient education resource; and Cannabis Expertise, a continuing medical education curriculum. He sits on the board of directors of the Society of Cannabis Clinicians and has lectured to healthcare providers internationally on the science and clinical applications of cannabis. The endocannabinoid system and how and why cannabis works. An overview of the cannabinoids found in cannabis, in both their acidic and neutral states. An overview of the common terpenes and terpenoids found in cannabis and their specific therapeutic effects. A summary of the most common physiologic effects of cannabis on the following bodily systems: The nervous system, digestive system, metabolism, cardiovascular system, eyes and ears, reproductive system, and endocrine system. A summary of the most common physiologic effects of cannabis on the following bodily systems: Soft tissue and joints, respiratory system, immune system, and cancer. An overview of the common adverse effects of cannabis, addiction, driving, cannabis overdose, and Cannabis Hyperemesis Syndrome. A look at the different dosage forms of cannabis, their onset times, what conditions these are best used for, and the risks or side effects associated with these. Learn how to calculate dosage using a cannabis tincture or oil and understand the absorption and pharmacokinetics of THC. Potential drug interactions and consumer safety issues with medical cannabis use. Guidelines on how to recognize users with substance abuse and acute cannabis intoxication. Included in your annual training fee. The second course includes the following chapters: Cannabis Dosing Principles, Phytoconstituent Synergy, Treatment Strategies, Condition Specific Treatments, and How to Succeed in Your Role.